At The Warrior Room, all of our classes offer full body work outs. You will burn fat, build lean muscle and strengthen your core with all of our classes! However, every first time client MUST take a FREE 30-minute Kettlebell Basic class before moving on to other classes. 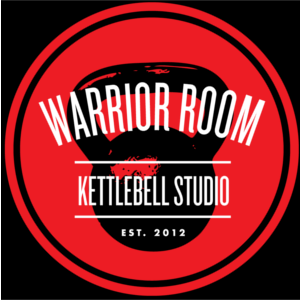 Kettlebell Basics is a gentle, low impact class designed to gauge the fitness level of each new warrior, our goal is to make sure that every person who steps on our mats is safe, sees results, and is able to fully benefit from expert instruction. If you are not able to find a time that works from our schedule of Basic Fitness classes, please contact us at thewarriorroom@gmail.com and we’ll coordinate a private Kettlebell Basics Class for you. Please be aware that class will be cancelled if there are less than three people registered for the session. If you cancel less than one hour before the session, it will be deducted from your class package. If you are an Unlimited Member, there could be serious repercussions . . . and by now, you should know that you don’t want to find out what those are. Our Basic Fitness Class is designed for those clients who don’t feel ready for the whole shebang right away. Only 30 minutes long, this slower paced class is a great stepping stone on the way to our hour long classes. The Basic Fitness Class is a good place to gain confidence, build foundational strength and conditioning, and fine tune technique. The foundation of the Warrior Room practice, and required for all new warriors. Learn basic kettlebell moves and safety, to prepare you for other Warrior Room classes. Your first KB Basics class is free; after that, they are $5 per session to pay trainer costs. An all level, highly technical, strength based work out. From fundamental kettlebell moves to more complicated maneuvers, this one hour class’ main objective is to familiarize warriors with core kettlebell exercises, while refining form and building endurance. Each work out will be customized to each warrior’s ability in the class and will include grind and ballistic movements to get the heart rate up and the muscles burning. An outdoor fitness camp designed to build strength and fitness through a variety of group intervals over a 1 hour period of time. Boot Camp training includes interval training, kettlebells, plyometrics, and various intense explosive sets. Pre-requisites: only available to Unlimited package warriors, must be cleared by a trainer before taking this class. This is the big gulp of the Warrior Room – for a brutally intense 90-minutes, Ashley will offer a one-off weekly work out that will focus on blasting calories leaving you with detox grade shakes. Not for wimps or wieners, you’ll be empty faced after this once a week punishing work out.